Here is the Malaysia events 2015 for your information? It is always good to find out the events that are taking place while you are visiting Malaysia. 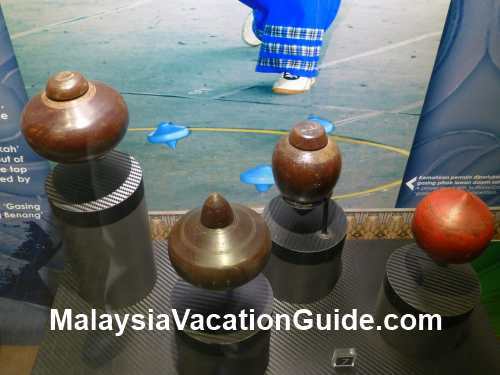 Each state in Malaysia has its own events that has been planned throughout the year. Look through and make an effort to join if you are able to. Get to know the famous yachtsmen from 12 countries competing in Langkawi Island. This short film festival will be held in Georgetown, Penang. This surfing contest will be held at Kampung Juara, Pulau Tioman. This kite contest features many "wau" from around the globe. Held annually at Batu Caves, this religious festival for the Hindus attracts many visitors to this cave. This event will be held at Muzium Negara that features exhibition about poisonous and venomous animals. If you are into performances, you may want to see this love story of how a royalty prince decided to marry a dancer and decides to live as a commoner. Discover the history about Admiral Cheng Ho and his contribution to the Islamic Civilization. Join the many open houses that will be welcoming all visitors during the Chinese New Year. Look out for the dates and venues of the open houses that are usually hosted by the ministers and political parties. This year's event will be held at Teluk Intan, Perak. Come and enjoy the many performances and food. Admission is FREE. If you are in Penang during this time, join the peoples of Penang to celebrate this fun-filled celebration. This event will be held at Padang Polo, Penang Island. Enjoy the 15 balloons that will be floating above the ground. Enjoy the Malaysia Events 2015 kite flying competition and shows from over 30 participating countries during the monsoon season. Venue is at Bukit Layang Layang, Taman Bandar Pasir Gudang, Johor. Held at Double Tree by Hilton Hotel, legends from all over the world will be giving their performances here. This orchestra will feature superstars from Malaysia who will showcase the 1Malaysia spirit. Held at the Esplanade, Georgetown, Penang and organized by Penang State Tourism, this event is celebrated on the 15th day of Chinese New Year Festival. This is the Chinese version of Valentine Day. Organized by Malaysia Nature Society, this annual event at Tanjung Tuan, Port Dickson in Negeri Sembilan is a good time for family outing. Venue: Tanjung Tuan, PNB Ilham Resort, 10th Mile, Port Dickson. This popular event for cyclists will pass through a few states and federal territories. Held in Johor Bahru in conjunction with the Chinese New Year, you will be able to see the lion dances and other performances on the 15km route at the city. Held at the Putra World Trade Centre(PWTC), this event is a must if you want to explore the designer shoes from around the globe. Find out all about the making of drums and enjoy the performances during this festival. Venue is at Perkarangan Stadium Muhamad IV, Kelantan. This Malaysia Events 2015 nationwide carnival sale throughout the nation is held in conjunction with the Petronas Malaysian F1 GP 2015. This bi-annual event is back in conjunction with LIMA 2015 in Langkawi. Enjoy the show and performances by popular artists while you are here..
See participants go through obstacles over a 20km course in a duration of 3-4 hours. The venue of the event is Sepang International Circuit. This event will be held at Putra Indoor Stadium directly from London's West End. It is a concert to celebrate the career of the late Michael Jackson. This event will be held at Banghuris Homestay, Sepang, Selangor featuring the famous Javanese cuisine. Athletes from all over the world will be here to participate in this triathlon event. Venue is at Millenium Monument, Precinct 2, Putrajaya. This self-defense and martial arts event will be held for the second time in Kelantan. Venue is Dewan MPKB-BRI. Join the Penang folks to enjoy the musical performances from countries such as Poland, Ecuador, Brazil and South Africa. Venue is at Quarry Park, Penang Botanic Gardens. This world famous musical will be worth watching if you are in Kuala Lumpur. Held in Semporna in the state of Sabah, this Malaysia Events 2015 water festival will include a competition of the most beautiful traditional sailboats. Tug of war, kayak race and boat racing will also be held as part of the festival during this 2 days of fun and excitement. Semporna is the gateway to the world's best dive sites which include the world renowned Sipadan. Held in Kota Kinabalu in Sabah, this Malaysia Events 2015 will feature the cultures and traditions of the various ethnic groups in Sabah through music, dance, fashion and food. The annual Harvest Festival will be held after this festival. This annual event is organized by the Secretariat of Miri International Jazz Festival, Sarawak Tourism Board. This is one of the leading music festival in this region and is held in Miri, Sarawak. If you are in Kelantan, head for Pantai Geting in Tumpat and see how the experts from all over the world fly the kites of various sizes during this time of the year. Held in Precinct 2, Putrajaya this fair will feature floats from the many states in Malaysia with the theme "Magic of the Night". Come with your family for an evening of fun. See the colourful flowers and plants at Anjung Floria, Precinct 4. Opening hours from 9am to 10:30pm (Monday-Thursday) and 9am-12 midnight(Fri-Sun). This annual event is another tourist attraction event that you should not miss. This harvest festival is celebrated by the Kadazan Dusun in Sabah. This annual festival will showcase the traditional costumes and games schedule to be held in Penampang, Sabah. The Tadau Keamatan Open House Celebration will be held on the 7th June 2015 in Ranau, Sabah. See and capture the many flowers and orchids during this festival. This event will be held at Taman Botani, Jalan Kebun Bunga in Penang. This festival will be held at Auditorium DBKL, Kuala Lumpur with local dances for you to discover more about the dances of Malaysia. Enjoy the music at the tip of Borneo, Tanjung Simpang Mengayau, Kudat. A good time to listen to the classical as well as contemporary music being played. This cycling event will take you to the vicinity of Kuantan, Pahang. Enjoy the scenic ride along the way. International riders are expected to converge here as well. This event will be held in Sutera Harbour Marina, Golf and Country Club's Tennis Arena, Kota Kinabalu, Sabah and is organized by Sparks and Rotary Club of Kota Kinabalu. This annual event has attracted many international participants from Australia, Hong Kong, Japan, China and Brunei. This event will be held in Likas Bay, Kota Kinabalu. 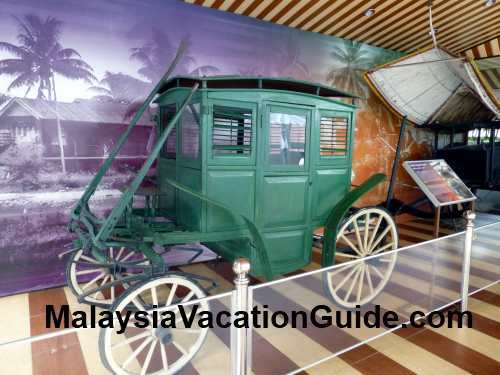 While here, remember to visit Tunku Abdul Rahman Marine Park and Kinabalu National Park. This is the second carnival sale of the year. Head for the many shopping malls that are practically available in many cities throughout the country and enjoy great discounts.